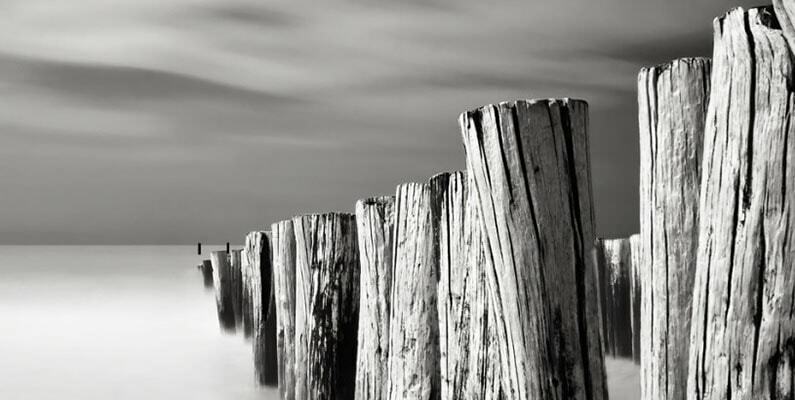 A set of Photoshop action sets for you to download and to improve your black and white photography post processing. This week a free downloadable Luminosity mask action set. Over the years I’ve received many “How-to” questions from people who follow my blog and my work. In most cases they can read my free tutorials here on my blog or watch one of my video tutorials like my new 3.5 hour B&W post processing Speed workflow tutorial that is all about my black and white photography post processing method, or read the 424 pages eBook From Basics to Fine Art – Black and white photography, architecture and beyond, written by me and co-author Julia Anna Gospodarou or even attend one of my (online) workshops and mentorships. Still people are looking for ways to make life just a little bit easier. For that reason I’ve decided to share several free actions for Photoshop on a regular basis, with some of the most used steps that I usually do in Photoshop providing they can be automated. 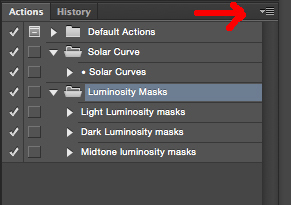 This week I start with sharing a Luminosity mask action set for Photoshop. If you want to know how to use the luminosity masks or maybe how to create them yourself, then you can start reading the luminosity mask tutorial here on my blog. You can download the luminosity masks actions HERE. This action set is based on the automatic creation of 7 light luminosity masks, 7 dark luminosity masks and 2 mid-grey luminosity masks. I find that 7 light and dark masks are usually more than sufficient. UPDATE April 2016: There’s a new luminosity action set available that also includes an action for removing all the luminosity masks once you’re done using them (it saves up a lot of space if you remove your luminosity masks from your working files). You can download this new set HERE. After you’ve downloaded it, go to your action panel in Photoshop (if it’s not visible yet then navigate to Window and activate Actions) and click on the icon on the right and click on ‘Load actions’ and load the luminosity mask action. From now on the luminosity mask action set is loaded and you don’t need to repeat this step again when processing your photos. If you want to run the action set then all you need to do is to go to the action panel again and either stand on the main Luminosity Masks folder and then hit the Play button or create the Light, Dark and Mid-grey Luminosity masks separately by standing on either one of the sub actions under the Luminosity Masks folder and then click Play. But remember the luminosity masks can only be created in this specific order: first the Lights then the Darks and then the Midtones. It can never be done in any other order. 2. An action set to create the subtle long exposure streaks of clouds in the skies if you have a clean blue sky. 3. Even more, but that remains to be seen if they can be automated. If you have any requests, then let me know in the comment box below. Another great tutorial (Less hands on, more about the background) is given by Davide Barranca – Luminosity Mask – How Does It Really Works? How do I convert the text file to a usable atn file? I love the TUT on creating the various channels but I’m lost on how to combine them, effectively. Dallas, that’s something that’s not easy to explain in just a written tutorial and requires some practice. Keep in mind this is not just some magic trick but part of a whole way of approaching black and white post processing. Perhaps it’ll help you if you look into some of my other articles so you have a bit of context. The rest is just practicing and trying things out.